Humans have long had a knack for concentrating heavy metals that would otherwise remain at low concentrations within the environment. These human-produced pollutants can be found going back as far as one million years ago with fires in caves during the Paleolithic Era, to industrial development in the 19th century, to increased concentrations of contaminants like cadmium and lead in the 20th century. Because of the effects of heavy metal pollution on environmental and human health, measurement is critical—both in determining current levels and in documenting historical levels. It can be challenging, though, to gather and analyze retrospective data, with methods including chemical analyses of archeological sites and comparison of historical records to sedimentary cores. In a recent article published in Applications in Plant Sciences, researchers at Brown University have demonstrated a unique resource that has been under our feet for decades: pressed herbaceous plants, labeled and stored as herbarium specimens. Herbaria have long been a valuable resource—traditionally to aid in identification of local flora—but more recently to address ecological questions including invasive species and the effects of climate change. Likewise, plants have been used for decades as indicators of heavy metal pollution. This is one of the first studies, however, to demonstrate the efficacy of using herbarium specimens of herbaceous plants to track changes in heavy metal concentrations over time. Using herbaceous plant specimens from Brown University's herbarium collected from 1846 to 1916, Dr. Tim Whitfeld, senior author of the study, and his colleagues extracted and quantified heavy metal concentrations including copper, lead, and zinc. The plant specimens used were collected from different areas around Providence, RI. Looking both across time and around a bustling industrial town at the turn of the 19th century, the authors were able to show that zinc and copper concentrations remained relatively consistent across time, and that lead concentrations reduced significantly from historical records compared to collections from the same areas in 2015. The lead author on the study, Sofia Rudin, an undergraduate at Brown University, was the main motivation for the study. "While working as a herbarium assistant, digitizing our collection, she noticed many of the specimens had specific locality information for various sites around Providence that she knew were former industrial areas. This prompted her to ask whether these specimens could be used for the study we eventually completed," recalls Dr. Whitfeld. Different plant species accumulate heavy metals in unique ways, which makes it challenging to take a broad swathe of plant samples for a simple side-by-side comparison. To control for this variability, it was important to match the species of historical samples with those found in the same area today. In a few instances this was not possible, and therefore the researchers were limited to sampling within the same genus. Additional challenges arose because of the nature of utilizing historical collections. Whitfeld explains, "Sofia encountered particular problems with the analysis of mercury concentrations because of the historical use of mercuric chloride as an insecticide in herbarium collections. It was impossible to accurately assess Hg [mercury] concentrations in the plant because the insecticide treatment saturated the sensor. This was unfortunate because documenting changes to Hg [mercury] through time was originally one of our research goals." Despite these challenges, the authors were still able to emphasize broader trends in heavy metal accumulation in the Providence area, namely decreases in lead concentrations due in part to Environmental Protection Agency regulations but also to targeted remediation efforts in a historically active industrial area. Whitfeld and his colleagues aren't finished yet. According to Whitfeld, "Sofia is building on this project with a more detailed analysis of heavy metal concentrations at one of our study sites. Her work includes analysis of pond sediments, soils, and more collecting to document plant diversity... We're also hoping to cast a broader net across Providence with an analysis of historical specimens of Plantago [plantain] in an attempt to match terrestrial trends in heavy metal concentration with measurements taken from nearby marine sediments in Narragansett Bay [south of Providence]." In addition to the study's goal of demonstrating the usefulness of herbarium specimens to measure levels of heavy metal concentrations, the study had a second, equally important goal. As Whitfeld explains, "We wanted to highlight the relevance of herbarium collections for a wide variety of ecological questions, in order to highlight their importance across the biological and environmental sciences." The list of ecological questions that herbaria can target is long, and includes biogeography, ethnobotany, tracking invasive species, plant diseases, and studying the impact of climate change on flowering times. The impact of herbaria on research doesn't stop there though. As Dr. Whitfeld elaborates, "Herbarium collections are particularly valuable tools in undergraduate science education. It's been my experience that students are especially motivated to contribute to the collections and including opportunities for collecting and offering field experience for this to happen is an effective way to engage students in botany. Therefore, if universities invest in maintaining their herbarium collections there is a great payoff in terms of increased educational opportunities." In addition to the benefit to educational opportunities, investments in herbaria result in increased potential for further retrospective studies. 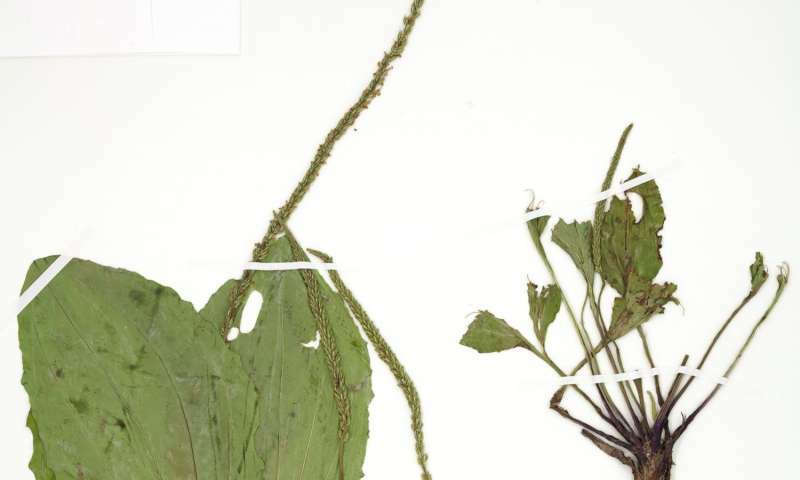 "The many online herbarium portals that compile digital images and label data from across different collections are useful for any type of study that requires more specimens than contained in the researcher's home collection," notes Whitfeld. "It's especially important for smaller herbaria to be able to search and access collections from larger institutions in order to broaden their studies."